Happy Fourth of July! I'm celebrating my freedom today by eating a lot, watching things blow up, and shopping at an outlet mall. In all, a wonderful day. 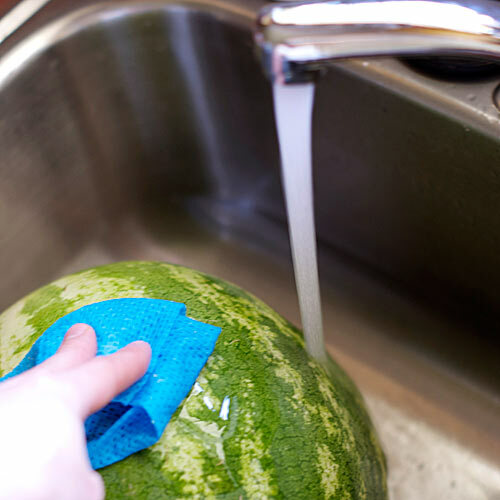 First I give the outside of the melon a bath. 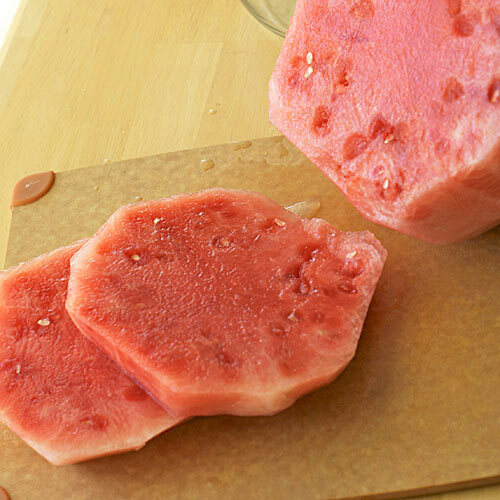 They're nearly always dirty and I haven't found a way to get that rind off without it eventually touching the cutting board or serving platter so I clean it up before cutting. 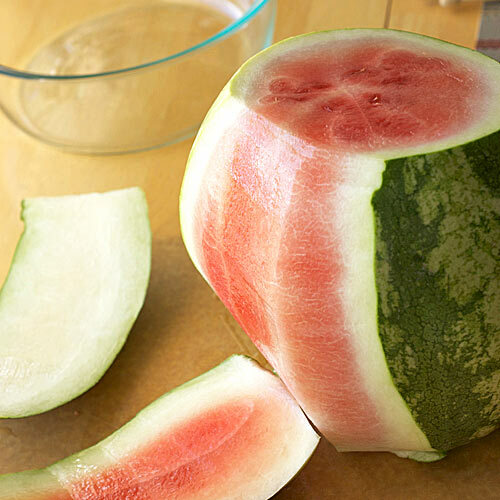 I usually go back through and slice off any of the white parts left on the watermelon, seeing how these are pretty flavorless. 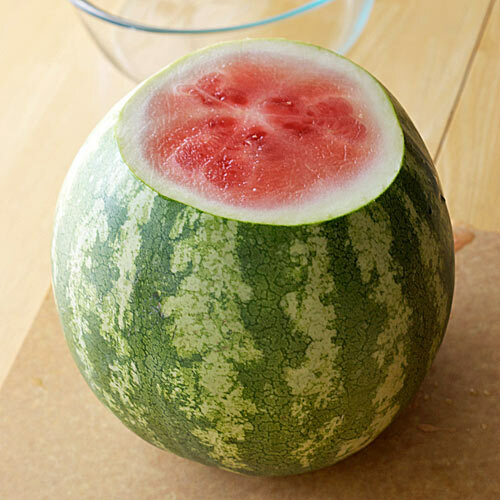 Then I lay the watermelon on its side and slice off 1 inch (or however big you want) pieces like they were pieces of bread being cut from a loaf. 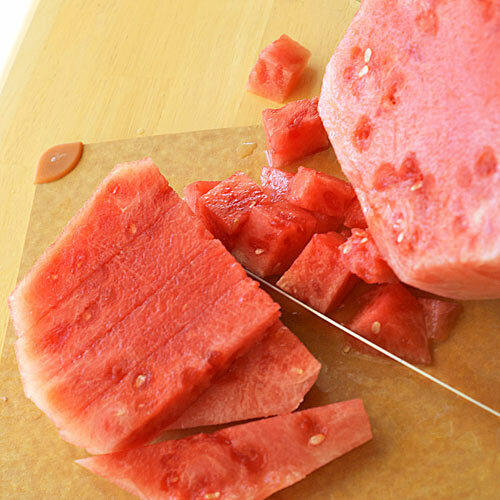 I stack a couple of those slices and cut them lengthwise into 1 inch strips. Then I turn the stack and cut it widthwise into 1 inch chunks. 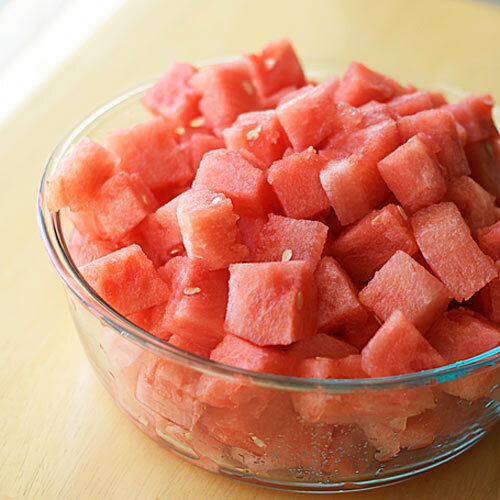 Put those chunks in a bowl and you're done. Unless, like me, you always underestimate the size of the bowl that you need to hold said chunks. Looks like I have some eating ahead of me to be able to put the lid on this.